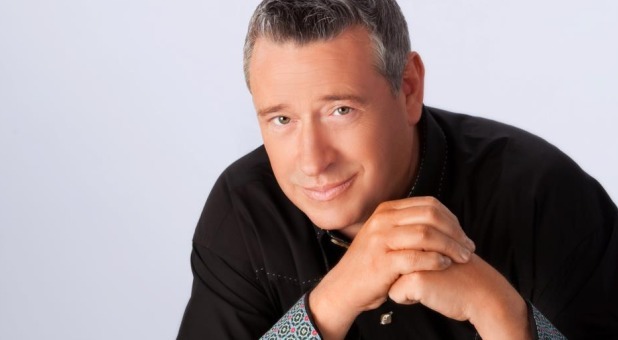 Rod Parsley was diagnosed with throat cancer. It's not a big secret, though he has not been speaking much about it publicly—until now. Rod Parsley is beating throat cancer. Now, the TV host, evangelist, educator, humanitarian and statesman has shared his story with Charisma News. In part one of this interview, he shares how he discovered he had cancer, the battle that raged against his mind and how he used the Bible to battle against radiation side effects. Charisma News: When did you discover you had throat cancer? Parsley: Back in early May, I started experiencing what I thought was a sore throat just from allergies or whatever and visited our family doctor. For about a month he had me on some medication for that. It didn't go away so he then said, "Let's have it scoped," which I've done many times as a professional who uses my voice for a living and for God's kingdom. So they did a scope and saw some abnormalities and didn't think there was much to it. Parsley: It was a squamous cell carcinoma. It was pretty devastating news. The doctor took a look at it and said, "I'm not going to touch this as a surgeon. This is cancer, and the best option for people who make their living speaking is they go through radiation treatment." This was pretty devastating news, and I didn't know what all that meant. At that moment, you have to stand so firmly on your faith and not allow yourself to hear all the voices going on in your mind. Charisma News: Cancer is never a word you want to hear. Parsley: Immediately, Joni (his wife) gave us a word, and a word of prophecy came, and the word—I'm not going to say there weren't any tears. I'm not going to say that didn't send me into a very dark place for a few minutes and thereafter to war against that. This is the fight of faith. This is the adversary telling me "You're never going to preach again. You're never going to talk again. It's over. You're finished. The ministries will collapse, and you will never again take a microphone in one hand and a Bible in another." It was devastating news, but I've always said if the gospel doesn't work (in crisis) then it doesn't work at all. Charisma News: I understand you received radiation treatments every day for 28 days. Parsley: We don't like to go back there because we received the victory, but so many people are going through the same thing right now, and they look at you and our family and say, "If they can do it, so can we." Another verse that's become so precious to me is that the "Blessing of the Lord makes rich and He adds no sorrow." Now the rich people—a lot of preachers use that just about prosperity. ... Rich means in fullness of salvation and all that salvation entails. The blessing of the Lord makes one rich—spirit, soul, body relationships. ... He adds no sorrow with it. When God heals, there's no sorrow ... when He heals just by divine impartation. But thank God He uses doctors and nurses and wisdom and hospitals, and thank God for that. If I had my choice, I'd just take that immediate miraculous healing. Even when God uses the mechanisms of this world for healing, and all healing comes from God. Every good and perfect gift comes down from the Father of lights from whom there is no variableness or shadow or turning. If it's good, it came from God. The thief came to kill—and sickness is limited to death. The thief came to kill, steal and destroy, but Jesus said "I came so that you may have life and that you might have it more abundantly." So when others are involved, there is some sorrow related to it. What you learn to do is to stand against side effects. For instance, God made the heavens and the earth and the Bible says he divided the light from the darkness. I used that, laid there on that cold, steel table, bolted down, immovable with a huge machine running around my head.